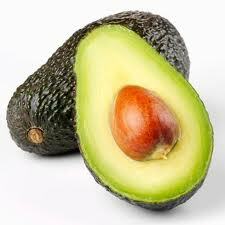 One ounce of a Haas avocado has 50 calories, 3 grams monounsaturated fat (that’s the good stuff! ), ZERO cholesterol and sodium, and 1 gram of dietary fiber. Avocados provide 20 essential vitamins and minerals, including: potassium, folic acid and other B vitamins, vitamin E, and vitamin K.
Avocados are a great source of lutein, which is essential to maintaining good eyesight. Did I mention that they taste great too?!?!? I wanted to showcase my Avocados from Mexico in a healthy main dish, so I did a bit of online research for inspiration. I found a couple of great recipes at the Food Network website. I played around with them to lighten them up a bit and came up with a hybrid that I call Baked Crab Cakes with Avocado Crema and Mango-Avocado Salsa. Imagine a bed of creamy, tangy avocado crema topped with an oven-crisped crab cake…and the crab cake is topped with a sweet-spicy mango-avocado salsa. Each bite is bursting with vibrant flavor, and you don’t have to feel the least bit guilty for this splurge-worthy meal. The crema is made with avocado and fat-free Greek yogurt, flavored with lime, cilantro, and a bit of spice. The crab cakes are topped with a sprinkle of panko and baked, which saves calories and fat compared to frying. The sweetly spicy salsa is flavored with honey, cilantro, and jalapenos for a bit of heat. Add it all up, and you’ve got a dish that rivals any restaurant. One note: the formed crab cakes need to hang out in the fridge for an hour or two to firm up before baking, so make sure to figure in time for that. That gives you plenty of time to assemble the crema and salsa, so it’s all good! Step 1: Add the following ingredients to a large mixing bowl: 1 lb. lump crab, 2 tbs. light mayo, 1 tbs. dark mustard, the zest and juice of one lime, 2-3 sliced green onions, 2 tbs. chopped flat-leaf parsley, 1-2 tsp. Old Bay, ½ tsp. salt, and ½ cup Panko bread crumbs. Gently combine all ingredients just until mixed…be careful not to break up the lumps of crab. Using clean hands, form into six cakes. Generously sprinkle with your favorite Cajun seasoning, cover with plastic wrap, and refrigerate for at least an hour. Step 3: Make the avocado crema by adding the following ingredients to a mixing bowl: 1 small or ½ large avocado from Mexico, 1/3 cup fat-free Greek yogurt, the juice of half a lime, 1 tsp. dried cilantro, Tabasco or sriracha to taste (I used about 2 tsp. Tabasco), and salt to taste. Combine on low speed until combined. Scrape down the sides, then combine on med speed for 30 seconds, until the mixture is creamy. Spoon the crema into a small bowl, cover with plastic wrap, and refrigerate. Step 4: Preheat oven to 375. Place the chilled crab cakes on a baking sheet that’s covered with parchment or a silpat. Combine ½ cup panko bread crumbs, 1 tbs. olive oil, and 1 tbs. of your favorite Cajun seasoning in a small bowl. Stir until the mixture is thoroughly combined. Sprinkle the crumbs on top of each crab cake, pressing a bit so they stick. Cook for about 20 minutes, until the crab cakes are heated through and the crumbs are golden-brown. Turn the sheet around halfway through baking to ensure even browning. Step 5: To assemble the dish, use a spatula to spread about 1/3 cup of the avocado crema in a circular pattern on the center of the plate. Place 1-2 crab cakes on top of the crema, then spoon some of the mango-avocado salsa on top of each crab cake. Get ready for a feast for the tastebuds...and the eyes! This dish is out of this world! The tangy avocado crema, the sweet crab, and the spicy-sweet salsa combined for a fiesta of flavors! The panko brought a bit of healthy crunch for a fraction of the fat that comes with frying. Each component of this dish tastes great, but together? Get out of here! Michael isn’t as big of an avocado fan as I am, and he went crazy for the flavors in this dish. We ate them just like this as a complete meal, but you could certainly add a salad with a nice citrus vinaigrette on the side if you like. If you’re an avocado lover, I hope you’ll add this to your short list of ways to enjoy them very soon!! 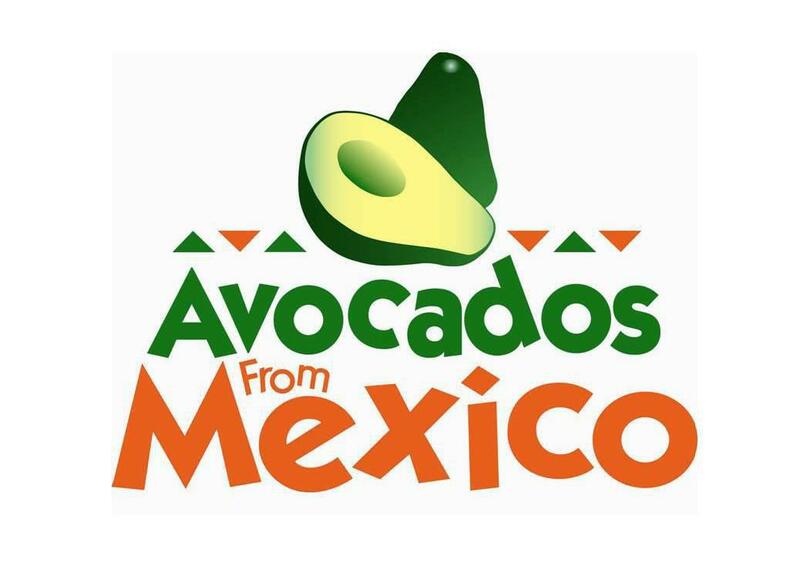 Disclosure: Avocados from Mexico sent me an avocado gift pack to facilitate this feature. All opinions expressed are my own.